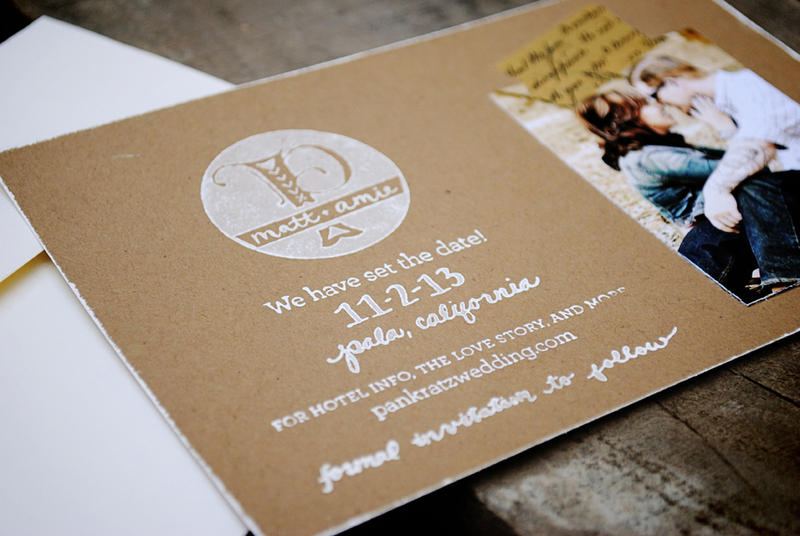 Can I just say that I love my job as Amie’s matron of honor and wedding designer? Seriously, this year I think I’ve seen my best friend more than the last couple year’s combined. While I am so happy that her and Matt are getting married, I am also selfishly happy because now I get to buy a new dress (or two or three for showers and such :)) and have a blast crafting away with Amie! 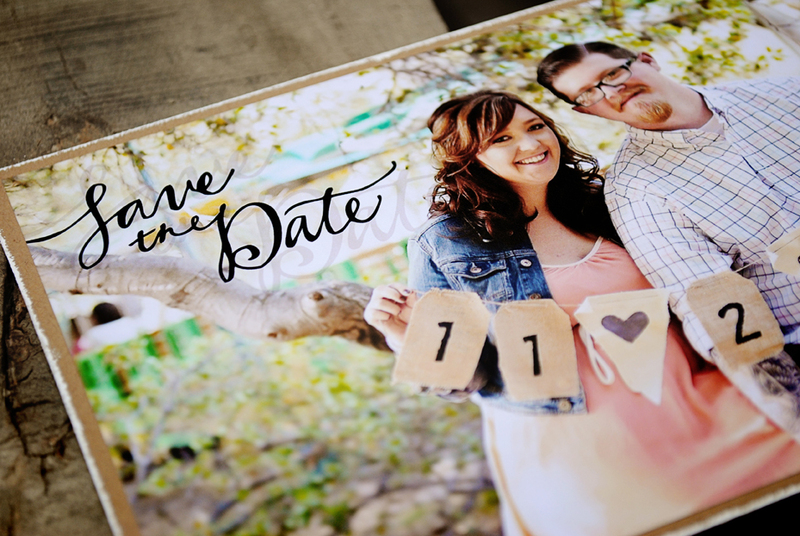 One of our latest projects is compiling her Save the Dates. 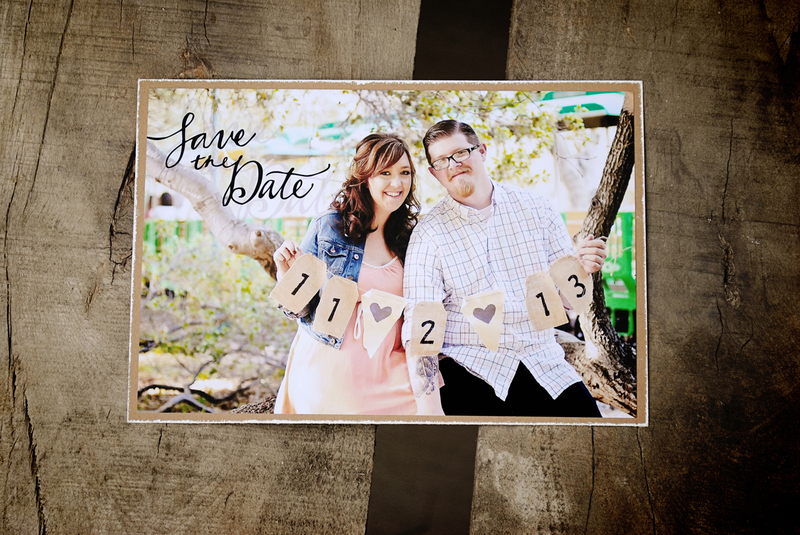 Her amazingly talented wedding photographer took their engagement photos in March (see more photos here) so we got to include those in the Save the Date as well. 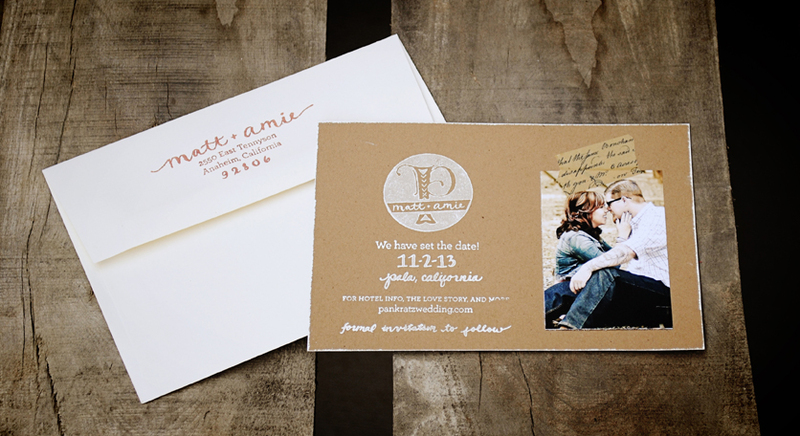 It was another scrapping night for Amie and me but they came out so beyond adorable! First off we created a monogram and did most the writing by hand which we then ordered custom rubber stamps of the final design. 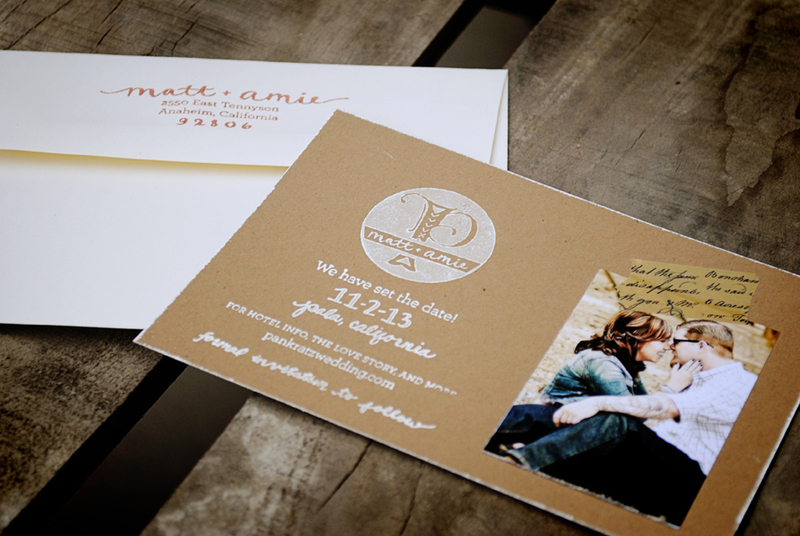 We really wanted to keep the handmade look we achieved in the engagement party invites so we rubber stamped the edges and then used decorative tape to hold the photo in place. For the front, we waited for the photos to be taken to be able to design around whichever photo they chose with their adorable hand painted banner. 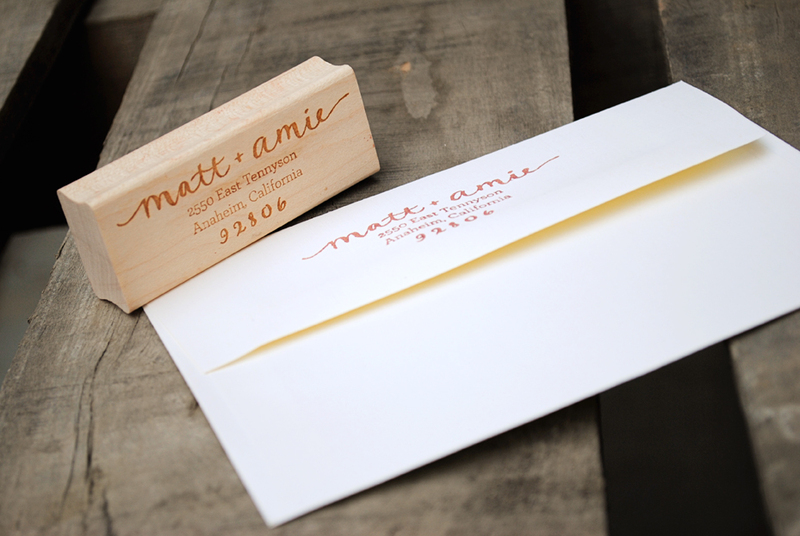 We also created a custom return address rubber stamp as well for the linen envelopes (if you’d like your own custom return address stamp, check out my Etsy shop!). All in all, I love how they came out. And I love that Amie kinda let me “do my thing” in coming up with the designs as well—its so encouraging when the client truly trusts you. See more of Amie’s wedding festivities.